Representatives and doctors from Franklin Square Hospital; including, Lawanda Summers, M.D., Edward Carter, M.D., are experts in the field of emergency medical treatment; their representatives are expected to testify as to the treatment rendered to the Plaintiff following the motor vehicle accident, the fairness, reasonableness, necessity and causal relationship between the injuries sustained in the auto accident and their medical treatment rendered. Plaintiff’s lawyers expect to solicit testimony from these doctors as to the permanent nature of the personal injuries sustained by the Plaintiff as a result of this accident; future medical expenses and treatment which are reasonably expected in occur in the future. The doctors’ opinions are based upon their review of the medical records, treatment or examination of the Ms. Vitale, history taken from the Plaintiff and years of experience and medical training. The Plaintiff incorporates herein by reference all of her medical records attached to the Plaintiff’s response to request for production of documents. Henry K. Smith, M.D. ; Irfan Sarfo, M.D. ; Michael D.. Reischer, M.D. ; are experts in the field of orthopaedic surgery; pain management; physical therapy and rehabilitation therapy. These doctors are expected to testify as to the treatment rendered to the Plaintiff following the auto accident, the fairness, reasonableness, necessity and causal relationship between the personal injuries sustained in the auto accident and their medical treatment rendered. Her doctors are also expected to testify as to the permanent nature of the injuries sustained by the Plaintiff as a result of this auto accident; future medical expenses and treatment which are reasonably expected in occur in the future. The doctors’ opinions are based upon their review of the medical records, treatment or examination of the Plaintiff, history taken from the Plaintiff and years of experience and medical training. 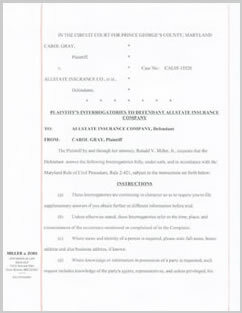 The Plaintiff incorporates herein by reference all of her medical records attached to the Plaintiff’s response to request for production of documents. Representatives and doctors from Sevenson Physical Therapy are experts in the field if medical rehabilitation and physical therapy; the representatives are expected to testify as to the treatment rendered to the Plaintiff following the car accident, the fairness, reasonableness, necessity and causal relationship between the injuries sustained in the car accident and their medical treatment rendered. Her doctors are also expected to testify as to the permanent nature of the injuries sustained by the Plaintiff as a result of this car accident; future medical expenses and treatment which are reasonably expected in occur in the future. These health care provider opinions are based upon their review of the medical records, treatment or examination of the Plaintiff, history taken from the Plaintiff and years of experience and medical training. The Plaintiff incorporates herein by reference all of her medical records attached to the Plaintiff’s response to request for production of documents. Advanced Radiology; Jeffrey Rose, M.D. ; and representatives are experts in the field of interpretation of diagnostic testing; the representatives are expected to testify as to the treatment rendered to the Plaintiff following the accident, the fairness, reasonableness, necessity and causal relationship between the personal injuries Ms. Vitale sustained in the accident and their medical treatment rendered. Her doctors are also expected to testify at trial as to the permanent nature of the injuries sustained by the Plaintiff as a result of this car crash, future expected medical expenses and treatment which are reasonably expected in occur in the future. The doctors’ opinions are based upon their review of the medical records, treatment or examination of the Plaintiff, history taken from the Plaintiff and years of experience and medical training. The Plaintiff incorporates herein by reference all of her medical records and bills attached to the Plaintiff’s response to request for production of documents. Rafiq Patel, M.D., is an expert in the field of general medicine and orthopaedics; he is expected to testify as to the treatment rendered to the Plaintiff following the auto accident, the fairness, reasonableness, necessity and causal relationship between the injuries sustained in the auto accident and their medical treatment rendered. Her doctors are also expected to testify as to the permanent nature of the injuries sustained by the Plaintiff as a result of this auto accident; future medical expenses and treatment which are reasonably expected in occur in the future. The doctors’ opinions are based upon their review of the medical records, treatment or examination of the Plaintiff, history taken from the Plaintiff and years of experience and medical training. The Plaintiff incorporates herein by reference all of her medical records attached to the Plaintiff’s response to request for production of documents. Michele T. Cerino, M.D., is an expert in the field of thoracic surgery; she is expected to testify as to the treatment rendered to the Plaintiff following the car accident, the fairness, reasonableness, necessity and causal relationship between the injuries sustained in the automobile accident and their medical treatment rendered. Her doctors are also expected to testify as to the permanent nature of the injuries sustained by the Plaintiff as a result of this automobile accident; future medical expenses and treatment which are reasonably expected in occur in the future. The doctors’ opinions are based upon their review of the medical records, treatment or examination of the Plaintiff, history taken from the Plaintiff and years of experience and medical training. The Plaintiff incorporates herein by reference all of her medical records attached to the Plaintiff’s response to request for production of documents. Representatives and doctors from Harford County Ambulatory Surgical Center are experts in the field of pain management; the representatives are expected to testify as to the treatment rendered to the Plaintiff following the auto accident, the fairness, reasonableness, necessity and causal relationship between the injuries sustained in the automobile accident and their medical treatment rendered. Her doctors are also expected to testify as to the permanent nature of the injuries sustained by the Plaintiff as a result of this automobile accident; future medical expenses and treatment which are reasonably expected in occur in the future. The doctors’ opinions are based upon their review of the medical records, treatment or examination of the Plaintiff, history taken from the Plaintiff and years of experience and medical training. The Plaintiff incorporates herein by reference all of her medical records attached to the Plaintiff’s response to request for production of documents. Representatives and doctors from Chesapeake Medcare Services are experts in the field of pain management; the representatives are expected to testify as to the treatment rendered to the Plaintiff following the automobile accident, the fairness, reasonableness, necessity and causal relationship between the injuries sustained in the auto accident and their medical treatment rendered. Her attorneys are expected to solicit testimony from these doctors as to the permanent nature of the injuries sustained by the Ms. Vitale as a result of this auto accident; future medical expenses and treatment for her personal injuries which are reasonably expected in occur in the future. The doctors’ opinions are based upon their review of the medical records, treatment or examination of the Plaintiff, history taken from the Plaintiff and years of experience and medical training. The Plaintiff incorporates herein by reference all of her medical records attached to the Plaintiff’s response to request for production of documents. Avraam Karas, M.D., is an expert in the field of thoracic and outlet surgery; he is expected to testify as to the treatment rendered to the Plaintiff following the car automobile accident, the fairness, reasonableness, necessity and causal relationship between the injuries sustained in the automobile accident with Defendant’s truck and their medical treatment rendered. 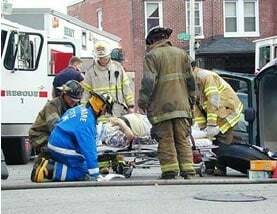 Plaintiff’s doctors are also expected to testify as to the permanent nature of the injuries sustained by the Plaintiff as a result of this car accident; future medical expenses and treatment which are reasonably expected in occur in the future. The doctors’ opinions are based upon their review of the medical records, treatment or examination of the Plaintiff, history taken from the Plaintiff and years of experience and medical training. The Plaintiff incorporates herein by reference all of her medical records attached to the Plaintiff’s response to request for production of documents. Representatives and doctors from Rosen-Hoffberg Rehabilitation and Pain Management Associates are experts in the field of medical rehabilitation, physical therapy, and pain management; the representatives are expected to testify as to the treatment rendered to the Plaintiff following the motor vehicle accident, the fairness, reasonableness, necessity and causal relationship between the injuries sustained in the auto accident and their medical treatment rendered. Her doctors are also expected to testify as to the permanent nature of the injuries sustained by the Plaintiff as a result of this car accident; future medical expenses and treatment which are reasonably expected in occur in the future. These doctors’ opinions are based upon their review of the medical records, treatment or examination of the Plaintiff, history taken from the Plaintiff during her treatement and years of experience and medical training. The Plaintiff incorporates herein by reference all of her medical records attached to the Plaintiff’s response to request for production of documents. Representatives and doctors from Upper Chesapeake Medical Center are experts in the field of emergency medicine; the representatives are expected to testify as to the treatment rendered to the Plaintiff following the auto accident, the fairness, reasonableness, necessity and causal relationship between the injuries sustained in the auto accident and their medical treatment rendered. Her doctors are also expected to testify as to the permanent nature of the injuries sustained by the Plaintiff as a result of this auto accident; future medical expenses and treatment which are reasonably expected in occur in the future. The doctors’ opinions are based upon their review of the medical records, treatment or examination of the Plaintiff, history taken from the Plaintiff and years of experience and medical training. The Plaintiff incorporates herein by reference all of her medical records attached to the Plaintiff’s response to request for production of documents. Abdallah J. Helou, M.D., is an expert in the field of orthopedics and thoracic outlet surgery; he is expected to testify as to the treatment rendered to the Plaintiff following the car accident, the fairness, reasonableness, necessity and causal relationship between the injuries sustained in the auto accident and their medical treatment rendered. Her doctors are also expected to testify as to the permanent nature of the injuries sustained by the Plaintiff as a result of this car accident; future medical expenses and treatment which are reasonably expected in occur in the future. The doctors’ opinions are based upon their review of the medical records, treatment or examination of the Plaintiff, history taken from the Plaintiff and years of experience and medical training. The Plaintiff incorporates herein by reference all of her medical records attached to the Plaintiff’s response to request for production of documents. Representatives and doctors from Good Samaritan Hospital are experts in the field of general medicine; the representatives are expected to testify as to the treatment rendered to the Plaintiff following the auto accident, the fairness, reasonableness, necessity and causal relationship between the injuries sustained in the car accident and their medical treatment rendered. Her doctors are also expected to testify as to the permanent nature of the injuries sustained by the Plaintiff as a result of this motor vehicle accident; future medical expenses and treatment which are reasonably expected in occur in the future. The doctors’ opinions are based upon their review of the medical records, treatment or examination of the Plaintiff, history taken from the Plaintiff and years of experience and medical training. The Plaintiff incorporates herein by reference all of her medical records attached to the Plaintiff’s response to request for production of documents. Henry A. Simpson, M.D., is an expert in the field of rehabilitation medicine and electromyography; he is expected to testify as to the treatment rendered to the Plaintiff following the car accident, the fairness, reasonableness, necessity and causal relationship between the injuries sustained in the auto accident and their medical treatment rendered. Her doctors are also expected to testify as to the permanent nature of the injuries sustained by the Plaintiff as a result of this auto accident; future medical expenses and treatment which are reasonably expected in occur in the future. The doctors’ opinions are based upon their review of the medical records, treatment or examination of the Plaintiff, history taken from the Plaintiff and years of experience and medical training. The Plaintiff incorporates herein by reference all of her medical records attached to the Plaintiff’s response to request for production of documents. Mid-Atlantic Neurosurgical Associates, P.A., Agha S. Khan, M.D., and their representatives are experts in the field of orthopedics and neurosurgery; the representatives are expected to testify as to the treatment rendered to the Plaintiff following the car accident, the fairness, reasonableness, necessity and causal relationship between the injuries sustained in the auto accident and their medical treatment rendered. Her doctors are also expected to testify as to the permanent nature of the injuries sustained by the Plaintiff as a result of this auto accident; future medical expenses and treatment which are reasonably expected in occur in the future. The doctors’ opinions are based upon their review of the medical records, treatment or examination of the Plaintiff, history taken from the Plaintiff and years of experience and medical training. The Plaintiff incorporates herein by reference all of her medical records attached to the Plaintiff’s response to request for production of documents. Rakesh K. Mathur, M.D., is an expert in the field of internal medicine, anesthesiology, and critical care; he is expected to testify as to the treatment rendered to the Plaintiff following the auto accident, the fairness, reasonableness, necessity and causal relationship between the injuries sustained in the auto accident and their medical treatment rendered. Her doctors are also expected to testify as to the permanent nature of the injuries sustained by the Plaintiff as a result of this accident; future medical expenses and treatment which are reasonably expected in occur in the future. The doctors’ opinions are based upon their review of the medical records, treatment or examination of the Plaintiff, history taken from the Plaintiff and years of experience and medical training. The Plaintiff incorporates herein by reference all of her medical records attached to the Plaintiff’s response to request for production of documents. Robert E. Johnson, M.D., is an expert in the field of orthopaedic surgery; he is expected to testify as to the treatment rendered to the Plaintiff following the accident, the fairness, reasonableness, necessity and causal relationship between the injuries sustained in the accident and their medical treatment rendered. Her doctors are also expected to testify as to the permanent nature of the injuries sustained by the Plaintiff as a result of this car accident; future medical expenses and treatment which are reasonably expected in occur in the future. The doctors’ opinions are based upon their review of the medical records, treatment or examination of the Plaintiff, history taken from the Plaintiff and years of experience and medical training. The Plaintiff incorporates herein by reference all of her medical records attached to the Plaintiff’s response to request for production of documents. Joel L. McEnroe, M.D., is an expert in the field of orthopaedic surgery; he is expected to testify as to the treatment rendered to the Plaintiff following the car accident, the fairness, reasonableness, necessity and causal relationship between the injuries sustained in the accident and their medical treatment rendered. Her doctors are also expected to testify as to the permanent nature of the injuries sustained by the Plaintiff as a result of this accident; future medical expenses and treatment which are reasonably expected in occur in the future. The doctors’ opinions are based upon their review of the medical records, treatment or examination of the Plaintiff, history taken from the Plaintiff and his years of experience and medical training. The Plaintiff incorporates herein by reference all of her medical records attached to the Plaintiff’s response to request for production of documents. Kevin Travis, M.D., is an expert in the field of orthopaedics; he is expected to testify as to the treatment rendered to the Plaintiff following the car accident, the fairness, reasonableness, necessity and causal relationship between the injuries sustained in the car accident and their medical treatment rendered. Her doctors are also expected to testify as to the permanent nature of the injuries sustained by the Plaintiff as a result of this car crash; future medical expenses and treatment which are reasonably expected in occur in the future. The doctors’ opinions are based upon their review of the medical records, treatment or examination of the Plaintiff, history taken from the Plaintiff and years of experience and medical training. The Plaintiff incorporates herein by reference all of her medical records attached to the Plaintiff’s response to request for production of documents. Larry Strauss is an expert in the field of vocational rehabilitation; he is expected to testify as to the extent of the Plaintiff’s ability to be re-trained in a career suitable to her skills and ability to learn a new trade, and the costs associated with such retraining, loss of earnings capacity and any losses she may incur. Thomas Invico is an expert in the field of economics; he is expected to testify as to the present day value of Sally Vitale’s loss of earning capacity and future lost wages. Medics Kyle # 2727, Bullenger # 311118, Ullrich # 1087, and/or representatives of Baltimore County Fire Company, 700 East Joppa Road, Towson, Maryland 21286, experts in the field of emergency medical medicine, general medical treatment, and emergency transportation. These experts may testify as to the decedent’s entire course of treatment following the occurrence, any appropriate future medical treatment, and the casual relationship between the decedent’s medical treatment and the occurrence. These experts may testify as to the fairness, reasonableness, necessity and causal relationship between the decedent’s medical treatment and bills as a direct and proximate result of the occurrence. These experts may testify as to the permanent nature of the decedent’s injuries sustained as a result of the occurrence and the necessity and cost of future medical treatment. The doctors’ opinions are based upon their review of the entire medical chart, and the decedent incorporates herein all of the medical records and bills as though fully set forth herein. The doctors’ opinions are also based upon their treatment, review of the medical chart and/or examination, the history taken from the decedent and their respective years of medical training, and experience. Plaintiff reserves the right to use anatomical models, demonstrative medical illustrations, medical diagrams, and demonstrative video imaging of the decedent’s injuries and subsequent surgeries following the occurrence. This evidence would be introduced through expert testimony to assist the finder of fact in understanding the experts’ opinions. 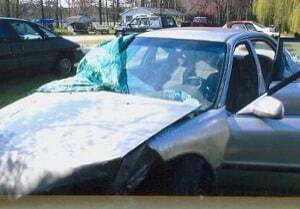 Should the defense assert the argument that the victim's injuries pre-existed the occurrence and/or were degenerative in nature, Plaintiff reserves the right to elicit expert testimony that the pre-existing condition was aggravated in the occurrence and/or that the pre-existing condition made the decedent more susceptible to injury as a result of the occurrence.